Moses Harris, who lived from 15 April 1730 until 1788 in England, was a fanatic entomologist (this is someone who studies insects). As the first photograph had yet to be taken, it was common to use engravings to use as imagery to support your research. Moses did not outsource the making of these engravings, he made them himself. As the difference between two insect species is sometimes very subtle, the colours of Moses’s engravings needed to be very precise in order to be able to determine a species correctly. Thus grew his interest in colour. 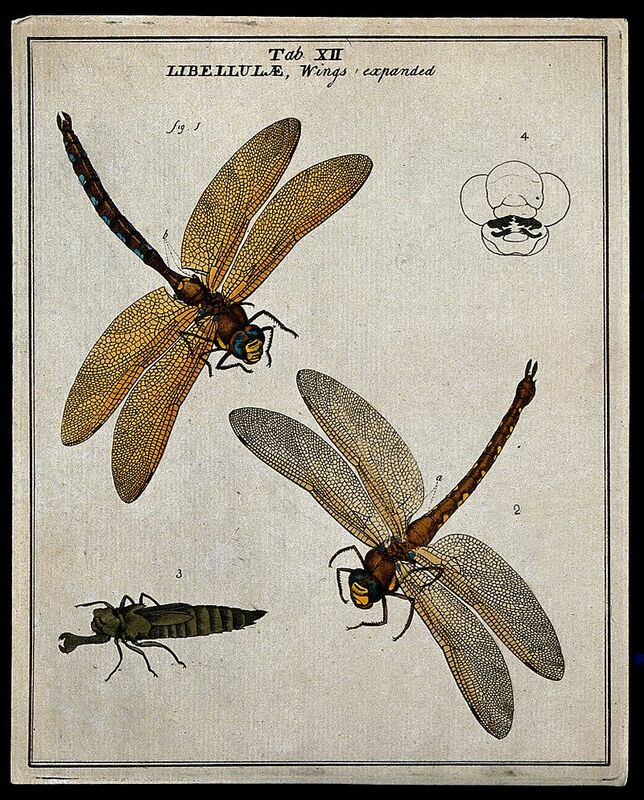 In Moses’s quest to record insects as best as he could, he needed a new colour system that could help him when he was making the engravings of the insects. He decided to create his own colour system by using a source that he as an entomologist was very familiar with, nature. He claims that blue, red and yellow are the prime colours, because those are the colours to be found back the most in non-domesticated flowers, thus nature must like them the most. He called them the prismatic colours, because those are the colours that are reflected by the prism. 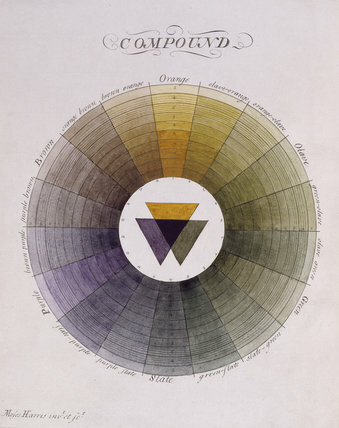 Which is quite remarkable, as his whole research is about colour in pigment and not in light like in the prism. The colours green, orange and purple he calls the compound colours, as they are made up from the prismatic colours. As Moses thinks that nature divides the prismatic colours and the compound colours, he decided to also separate them into two different colour wheels that together make his colour system. It is said that Moses is the inventor of the colour wheel. 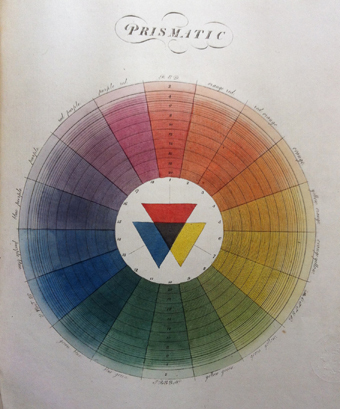 If you’re interested to read more about Moses Harris’s Natural System of Colours, you can read more about it here on another designblogpost.